An absolute favourite in our home, Spaghetti alla Carbonara originated in Italy – Rome to be specific and is a pasta dish traditionally consisting of egg, cheese and bacon. 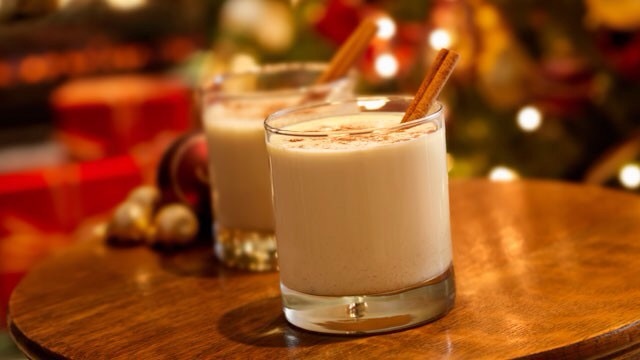 I was first introduced to this recipe by Michael. It was his go-to dish to impress me with when we first started dating long before I knew how simple it was to whip together, as its richness in flavour would make you think it took ages to assemble. 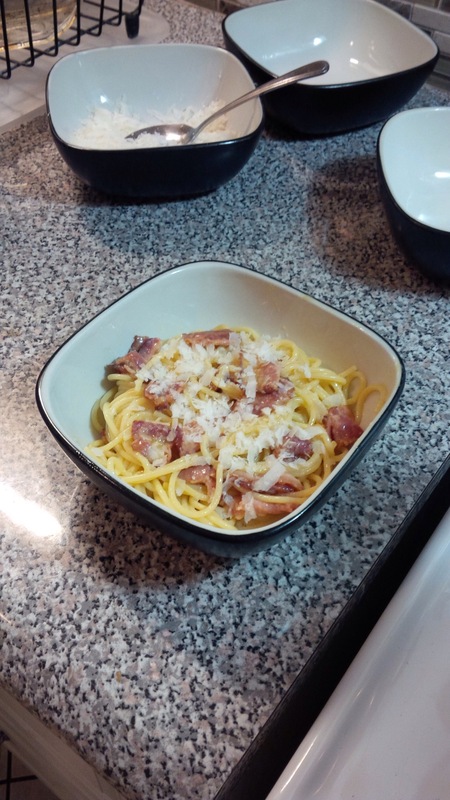 Over time it has become one of my personal favourites to whip up and Michael assures me that he’s met his match in the Carbonara game – an accolade I am proud to have earned. Michael’s mom, Pina was the first to share with me the origins of the dish, explaining that the village would feed the Charcoal workers this hearty meal as it was filling, easy to cook in large batches and fairly inexpensive to make as pork based meats, cheese and pasta are in abundance in Italy. While there are many variations and versions of Carbonara – including the cream based sauce, chicken and garlic additions of the western world, and Michael’s and my very own mushroom and onion versions – the best in my opinion is the basic, traditional version. 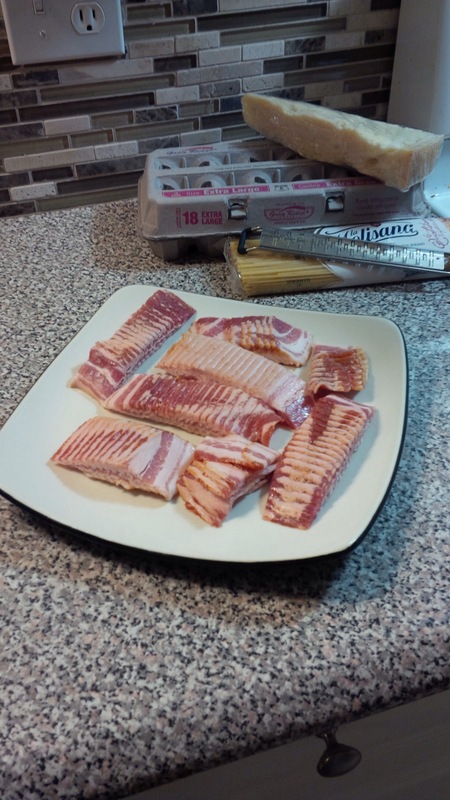 A good cut of bacon – if I’m not able to get to our local butcher, I prefer President’s Choice, naturally smoked bacon. 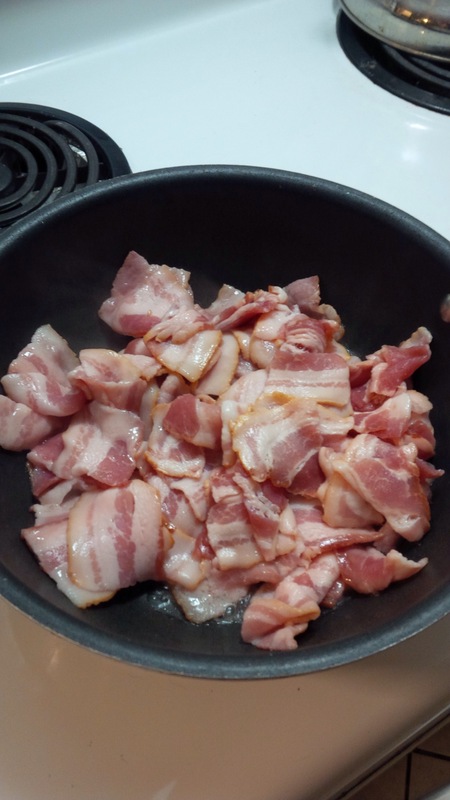 You can also swap the bacon out for pancetta, or add in chicken breast in addition to the bacon. 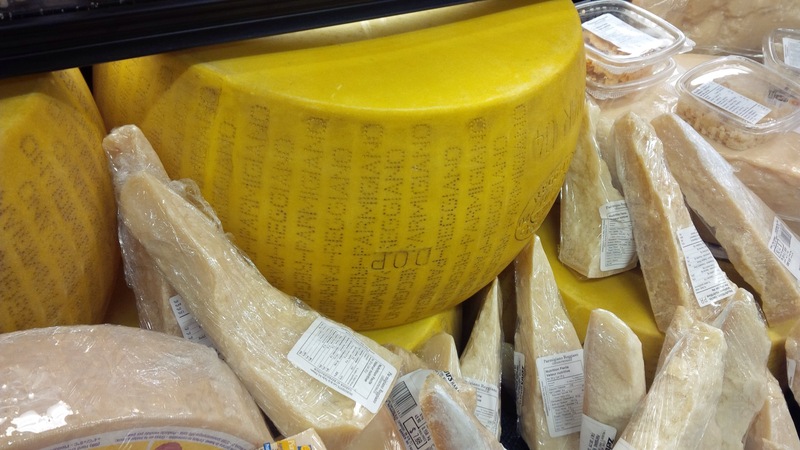 Parmigiano Reggiano – not Kraft Parmesan (aka salt), REAL Parmigiano Reggiano, wax case and all. 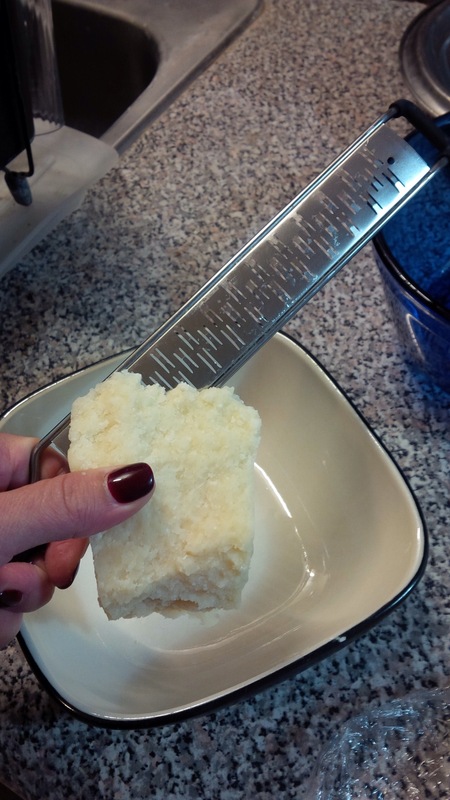 As this is a staple in our home, I usually buy a fair size piece and then grate it myself – however if I’m tight for time I cheat and buy the pre-grated container at the local butcher, Dipietros. You can also request to have it grated at most meat/deli counters in your local grocery store. 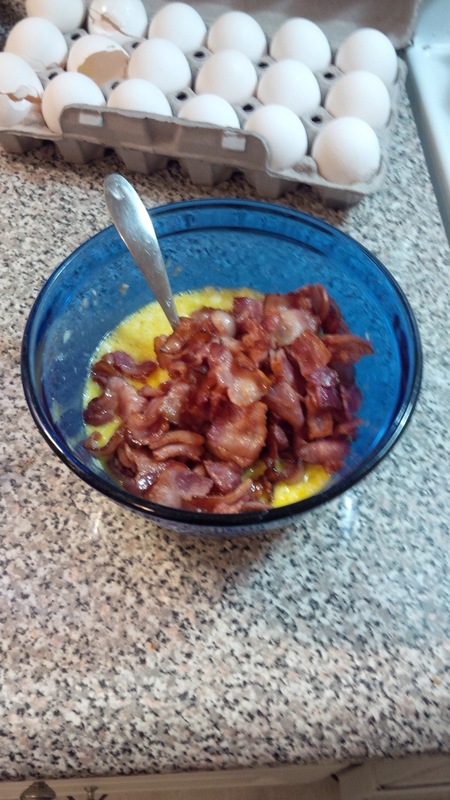 Eggs – the rule for quantity required is one egg per serving or person eating, plus one. So if I am making enough pasta for 4 people, I would need five eggs for the sauce base. 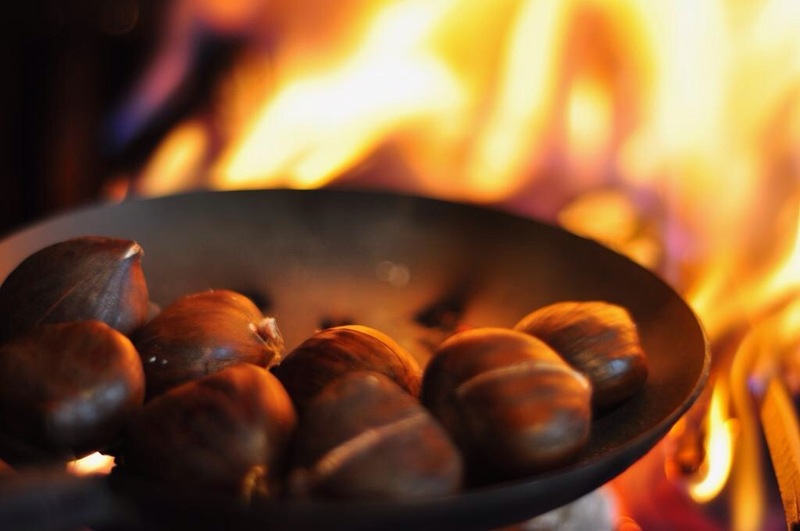 Pasta – traditionally a spaghetti dish, however many types of pasta can be used in this recipe and it works well with fettuccine or linguine. I however prefer tradition and usually use spaghetti. 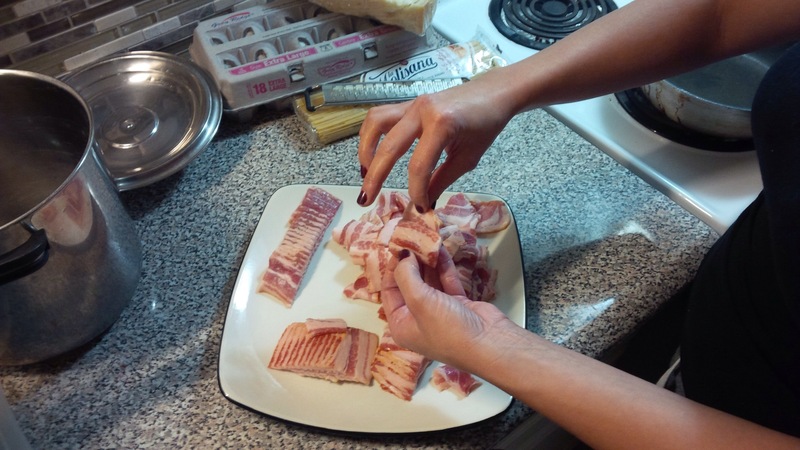 To begin, you will need to cut your bacon into roughly one inch chunks and then separate the slices onto a plate. Once this is complete, cook your bacon until it is the perfect texture of almost crunchy, but with a little bit of flex to it still. I use a deep pan for this to avoid splatter. 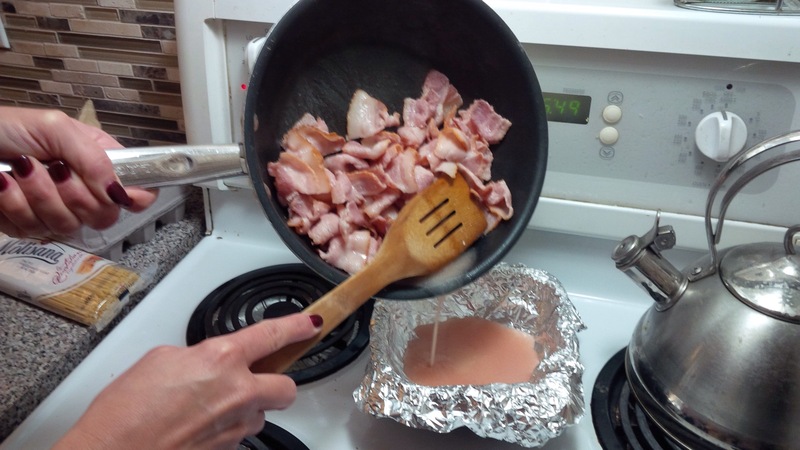 A tip for dealing with the bacon grease: line a bowl with tin foil and drain off the grease into the bowl. 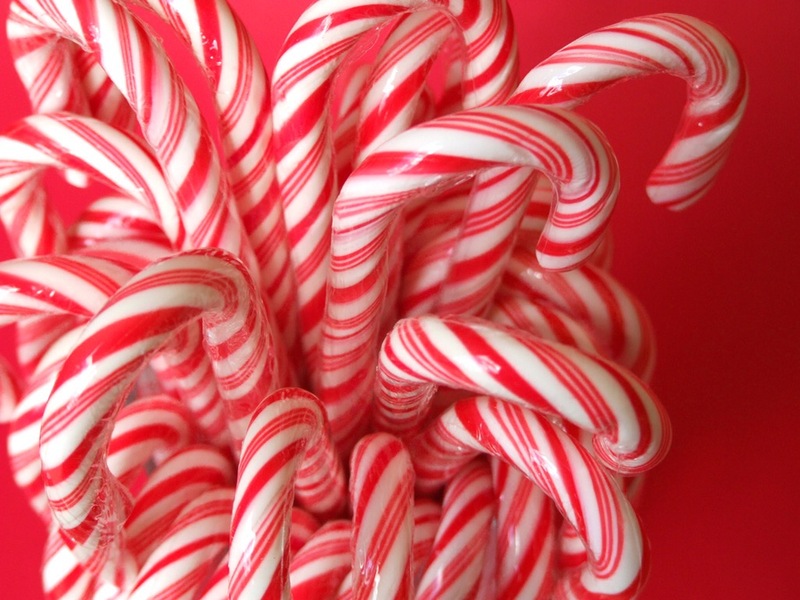 When the grease is cooled, you can wrap it up in the tinfoil and throw it away, minimizing the mess and clean up. 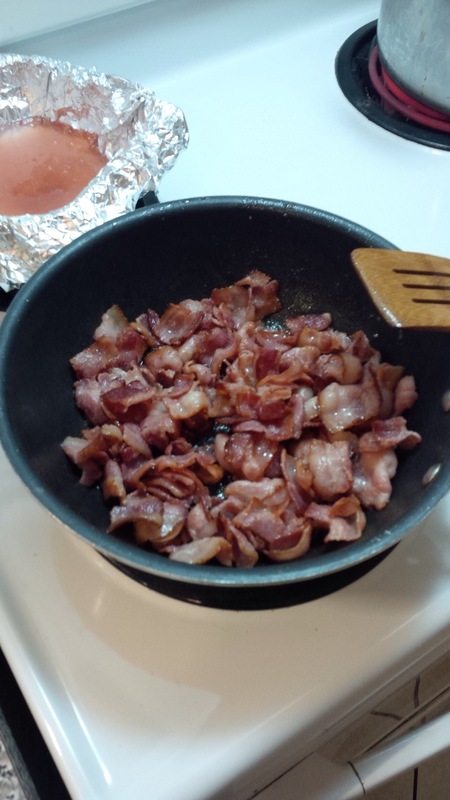 Once the bacon is done cooking, drain off any excess grease and pat dry with paper towel, setting it aside. This is where I start the pasta, bringing the water to a boil, adding in the spaghetti, a pinch of salt and about a teaspoon of olive oil to avoid sticky noodles. 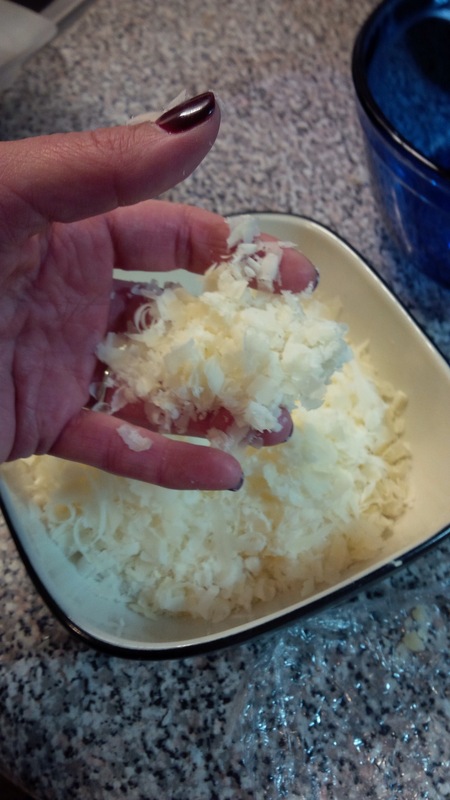 Once the pasta is started, I grate the Parmigiano using a hand grater. 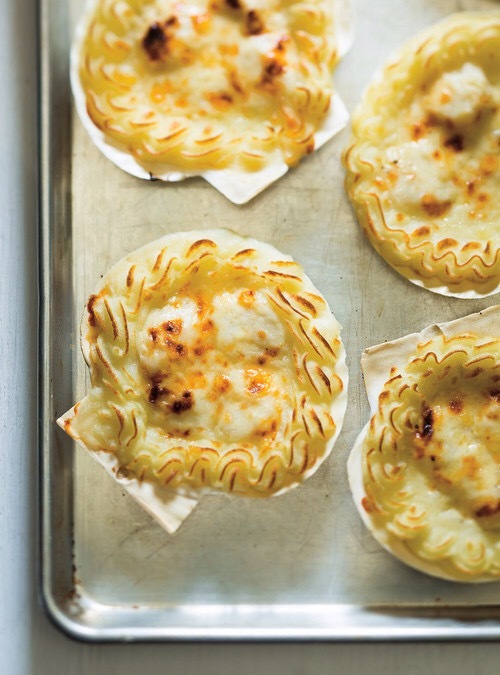 You will need enough cheese for the sauce – one scoop per serving – as well as to garnish/ taste once plated. Now, for the base of the sauce! 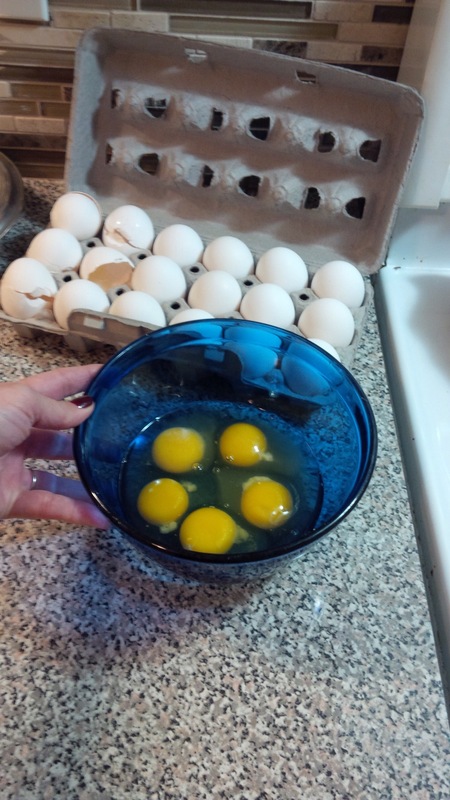 In a separate bowl, crack your eggs using the rule of one egg per person/serving, plus one. 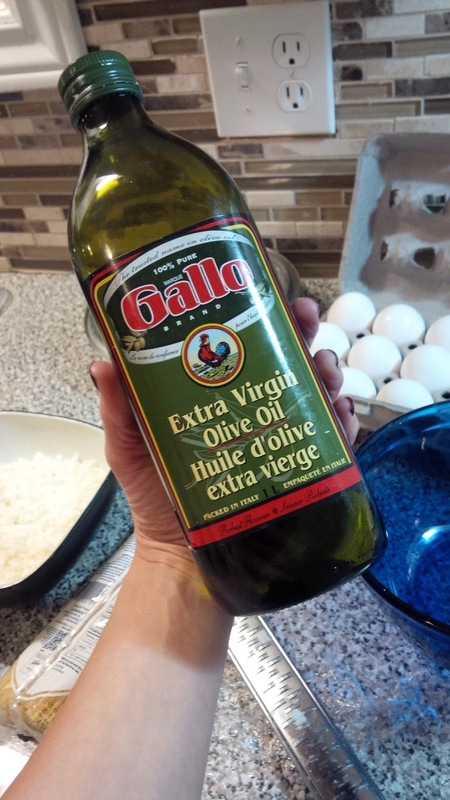 To keep the eggs from congealing from the heat of the pasta, add a small splash of extra virgin olive oil – less than a teaspoon. 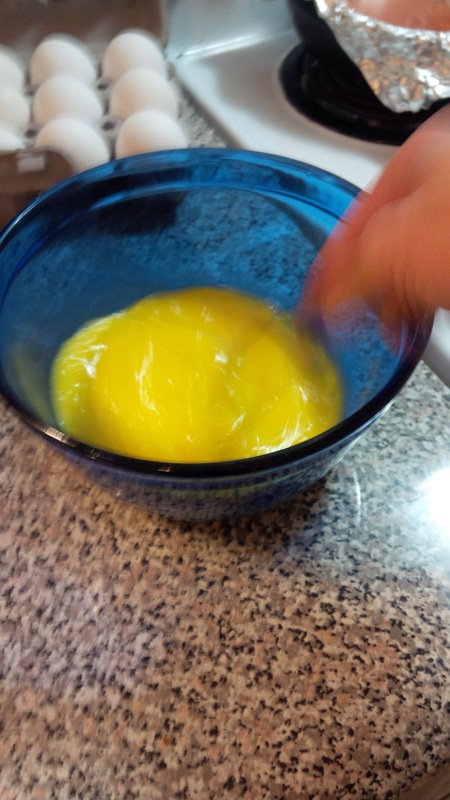 Using a fork, beat your eggs with the olive oil until combined. The blur is my hand and the fork – I’m so fast! 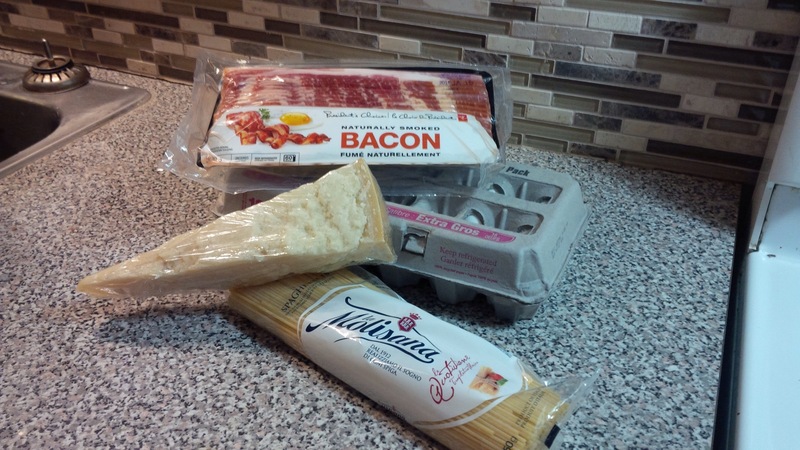 Once the egg and olive oil is ready, add in your Parmigiano using the same rule as the egg. As I am a Parmigiano addict, I make sure mine are heaping scoops. 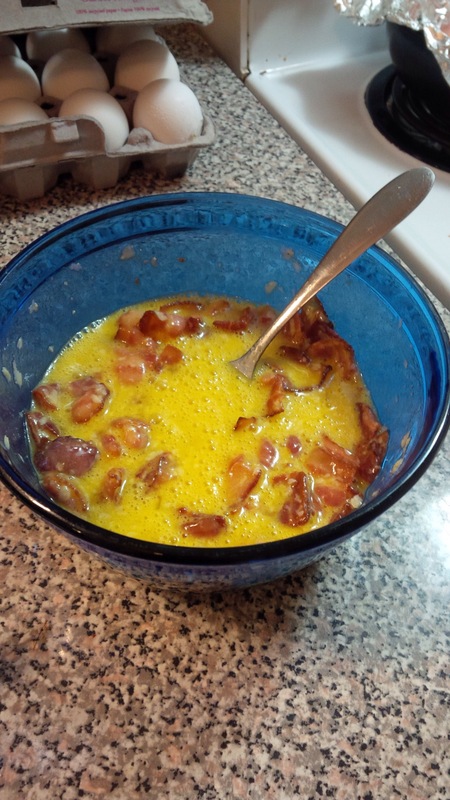 To finish the sauce, add in your bacon and stir. When your pasta is ready, drain, rinse and return it to the pot. Pour in your sauce and stir – based on the type of pasta I use, I usually use a pair of tongs to turn over the noodles in the sauce to avoid ruining the integrity of the noodle. 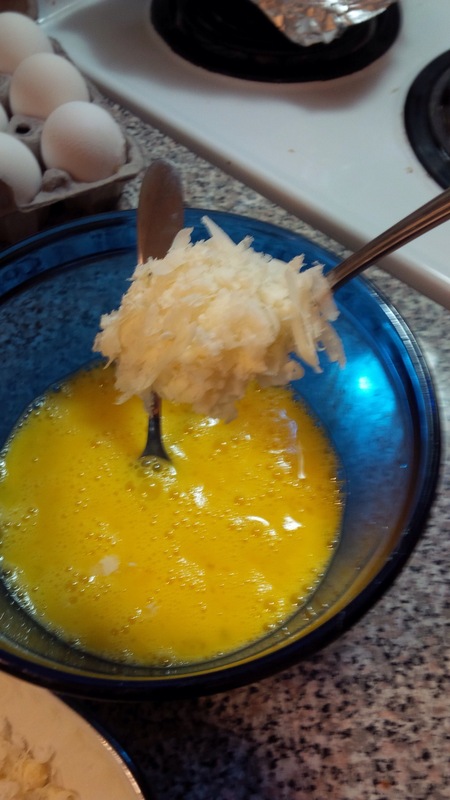 The heat of the noodle will slightly cook the eggs, with the oil keeping it creamy and rich. Your pasta is now ready for plating! 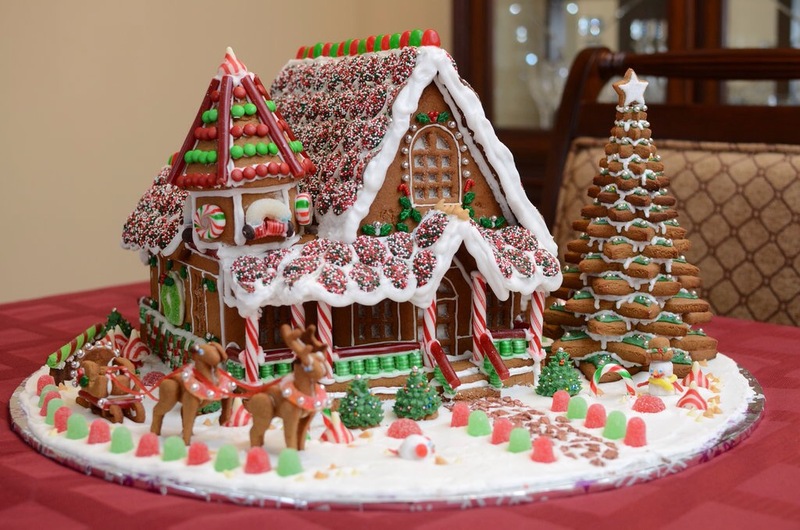 Be sure to garnish with a few more scoops of Parm and a bit of cracked pepper to taste.